Trying to choose between the Epiphone Les Paul Standard, Studio, PlusTop PRO and Custom PRO? Apparently so, or you wouldn't be here! You're not alone. This is a tough decision, and to make the right choice you need all the facts. First, you have the classic Epiphone Standard. This baby is modeled after the Gibson Les Paul, as you surely know. It's got pure rock attitude, and the sound to match. The Epi Standard has come a long way in recent years, and the PlusTop PRO model now adds some improved features to this already great guitar. Many veteran musicians rely on it as a solid, budget-friendly alternative to Gibson. Then you have the Epiphone Custom PRO. It's slick, shiny and makes you feel like you ought to be wearing white gloves while you play it. This is truly an amazing looking guitar, and whether you choose Ebony or Alpine White you're making a serious upgrade in appearance from the Standard PRO model, for only a few bucks extra. Finally, you have the Epiphone Studio. 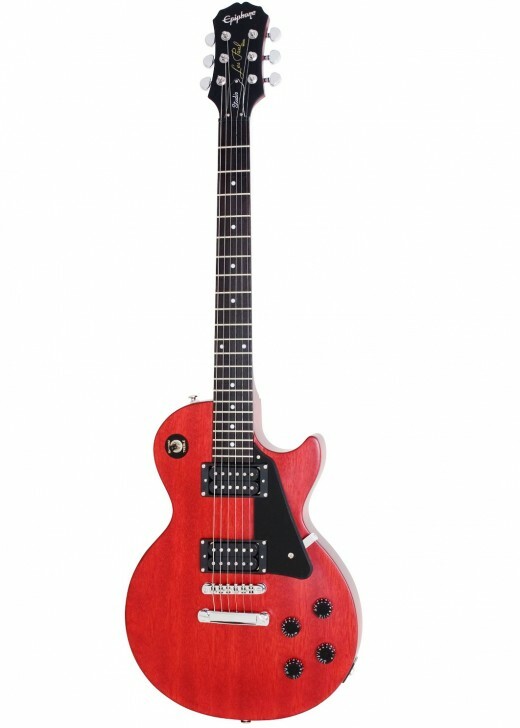 This is really a great guitar in this price range, and it has all the appointments you need to call it a real Les Paul. But it is much more of a bare-bones version, just like it's Gibson counterpart. In the fact, in my opinion, the Studio compares favorably to the Standard, but does that mean the same is true in the Epiphone lineup? Let's compare these awesome guitars and help you figure out which is the best choice for you. Epiphone is among the top electric guitar builders in the world, and their Les Pauls are modeled after classic Gibson guitars and built to Gibson's specs. But that doesn't mean they're quite the same as their Gibson cousins. In a Gibson Les Paul, whether it is a Standard, Studio or Custom, we see the same tonewood combination. Namely, we're looking at a mahogany body with a carved maple top and a mahogany neck. Traditionally, Gibson has used rosewood or ebony for their fingerboards. Gibson Les Pauls also feature some of the best stock humbuckers on the planet like their 490R/T set and the newer BurstBucker Pros. In the past, this is where some players felt the Epiphone Les Paul fell short. This is the basic Les Paul profile, and it's important to compare Epiphone Les Pauls not only to each other, but to the benchmark set by Gibson. Like the Gibson, the Epiphone version features a mahogany neck and a mahogany body with a maple top. However, the maple top on the Epi is thinner and does not have as much of an impact on the tone of the guitar. This is also one of the reasons an Epiphone Les Paul Standard is typically lighter than a Gibson. For some players, that's a good thing, but for others, it is an indication that this guitar isn't quite there. A big reason a Gibson sounds so good lies in the woods used to built it. 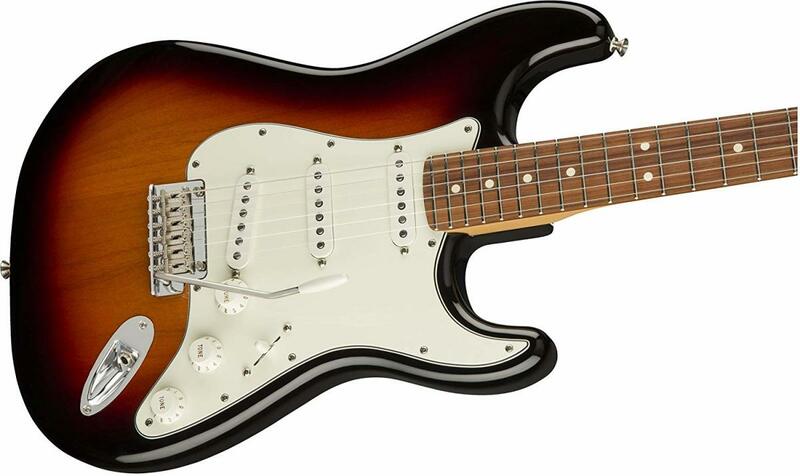 As for pickups and electronics, the Standard features a set of Alnico Classic Humbuckers. These pickups aren't bad, but as you'll see below Epiphone has made some improvements in recent years. Bottom Line: The Epiphone Standard is a good guitar for a very good price. It's reminiscent of what you'd expect from an Epiphone a few years ago in both its high value and its minor weak points. It makes a great first "serious guitar" for beginners who have been playing a while, but can also serve as a solid instrument for veteran gigging musicians. There is a reason Epiphone is regarded as one of the top alternatives to the Gibson LP, and it all starts with the LP Standard. Not so long ago when you bought an Epiphone LP Standard you had the choice between a solid Ebony finish and a pretty flame top. They were basically the same guitar, only one was painted black so you couldn't see the veneer beneath. Now the field is separated. There is the Standard model (above) with solid tops, and the PlusTop PRO model, with gorgeous flame or quilt tops featuring burst and see-through finishes. There's a significant price difference between the Standard and the Standard PRO, but it's about more that appearances. I had a chance to play an Epiphone LP Custom PRO a while back, a guitar very similar to the Standard PRO, and a couple of things struck me right away. First, this guitar was hefty. It felt like a Les Paul should, with a beefy neck and thick body. Epiphones always felt flimsier than Gibsons to me, but not in this case. The second thing was the pickups. The LP Standard (and Custom) both feature Epiphone ProBucker pickups, and I think they are significantly better in clarity and warmth than the Alnico Classics. They also have a coil tap function, which is a cool but unexpected feature. Bottom Line: The Epiphone LP Standard PRO is a serious upgrade from the Standard, and in my opinion shortens the gap between Epiphone and Gibson significantly. There were always some pretty good reasons you'd choose Gibson over Epiphone, regardless of price. Those reasons start to make less sense when Epi puts out guitars like this. If you are a serious guitarist and you don't want to spend a lot of cash, but you want a Les Paul, stop thinking so hard and grab one of these. Both are made with mahogany bodies and hand-set mahogany necks. Both guitars have rosewood fingerboards with block inlays and 22 frets. Both have locking Tune-o-matic bridges with stop bar, and Grover tuners. The Standard has Alnico Classic humbuckers, where the PlusTop has upgraded ProBuckers with coil splits. For most players, this gives the edge to the PlusTop. The pickups on the Standard are not quite as hot, and not quite as articulate. The PlusTop has a thin maple veneer you can see through the paint. This does not impact sound much, if at all. The Standard comes in basic, solid colors, where the PlusTop comes in nice burst finishes. It’s a matter of choice, and neither is better. The PlusTop is a more expensive guitar, typically to the tune of about $100, give or take. The Epiphone Les Paul Custom is a prettied-up version of the LP Standard PRO. 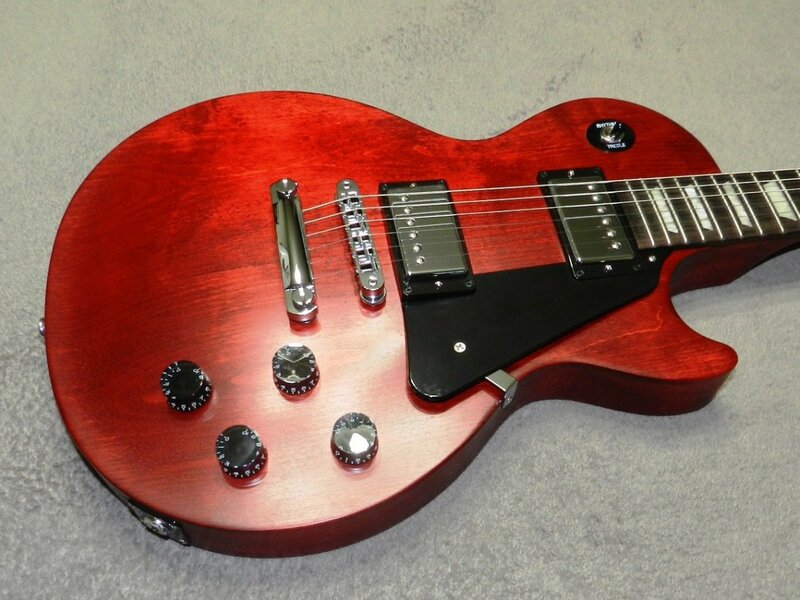 I'll be honest: My dream guitar has always been a Gibson LP Custom, but there is simply no way I could ever justify the cost. If you feel the same way, the Epiphone LP Custom may be your ticket. This is a gorgeous guitar, but beneath the surface, it is pretty much the same instrument as the LP Standard PRO. There's a slight price difference, but the upgrade is aesthetic. The Epiphone LP Custom PRO features the same mahogany body with maple top, mahogany neck, and rosewood fingerboard as the Standard PRO. And, it has the same great ProBucker pickups with coil tap. Cosmetically, it has gold hardware instead of chrome, prettier inlays in the fingerboard, a cool Les Paul Custom inlay in a bound headstock, and black speeds knobs instead of the Gibson top hat knobs. Bottom Line: This guitar isn't better or worse than the Standard PRO, just cosmetically different. If you like the look of the LP Custom, go for it! The Epi Les Paul Studio is a stripped-down version of the guitars listed above. This is a great electric guitar for serious beginners, and very affordable. It lacks the maple top and features a carved mahogany body and mahogany neck with a rosewood fingerboard. It has Alnico Classic humbuckers like the Standard, but these are an open-coil design. Open-coil humbuckers tend to be a little hotter and brighter than pickups with covers, and I think that works well in the context of this guitar. There's no bindings or fancy inlays, and aside from the dots on the fingerboard instead of blocks this guitar has the look of a Gibson LP Studio. I happen to like that look a lot. I think if I were a beginner, or an intermediate guitarist looking to upgrade from a starter guitar, I'd be tempted to grab this LP. Bottom Line: This guitar isn't in the same league as the Standard PRO and Custom PRO models above, but it might give the Standard a run for its money. The point of the LP Studio is to give a player all the good things about a Les Paul, without the fancy stuff that drives the price up. This guitar gets that done. For low-intermediate players, those getting back to guitar after a long layoff and serious beginners it is a good option. There is also a Goth version with an evil-looking black paint job, in case you want to give the neighbors a little extra scare. It seems two distinct classes of Epiphone Les Pauls revealed themselves throughout this review. There's the PRO Les Paul. These are quality guitars for a great price, and even profession musicians can make use of them in recording and gigging situations. While the Epiphone has always been a good alternative to Gibson, I think the gap is closer than ever with the Standard PRO and Custom PRO. Then there's a class for intermediate players, or musicians looking for their first good guitar. The Standard and Studio are both great values too, but professional musicians probably would have to make a few upgrades to find them useful. However, they're perfect for younger players and serious beginners. My choice? I'd go with the Custom PRO in Alpine White, but I really love the Vintage Sunburst finish on the Standard PlusTop PRO too. I think I might need one of each of those in the not too distant future. As for the Epiphone Standard vs Studio, I honestly think I'd choose the Studio. I like the open-coil humbuckers, and I like the stripped-down look. But the choice is yours. Which guitar have you decided is right for you? Your opinion: Epiphone Les Paul Standard, Studio, PlusTop PRO or Custom PRO? Which guitar do you like best? Is the Epiphone Les Paul capable of a rich, deep, clean sound similar to Carlos Santana’s tone on Samba Pa Ti? Yes. Like its Gibson namesake, the Epiphone version of the Les Paul is known for its warm, rich tone and it sounds great clean or with just a touch of overdrive. In other words, the types of sounds Santana is known for. A guitar player on a budget can get that same kind of smooth, buttery tone with something like an Epiphone Les Paul PlusTop PRO. However, I will add a few cautions here. First, there are many guitars we could say this about. Since the early ‘80s, Santana has played PRS guitars, and something like a PRS SE Custom 22 could get the job done as well. Really, anything with a mahogany body and neck and moderate-output humbuckers will get you in the neighborhood of Santana sound. Use the neck pickup, and experiment with rolling back the tone control. Second, it’s a fool’s errand to chase legendary tone on a budget, and not much easier with limitless cash at your disposal. Back when Santana recorded Abraxas he was playing Gibson guitars, sometimes with P-90 pickups and sometimes not. So, what guitar did he use on Samba Pa Ti? Does it really matter? It’s the same with any guitar hero. We could argue and speculate endlessly about the gear they used on a certain song or album, and then spend a huge amount of time and money trying to replicate it ourselves. This is the path to madness. For the sake of discussion, it is entertaining. But, for the sake of putting together a guitar setup that sounds great and doesn’t kill your budget, it isn’t really helpful. I think it is far more important to understand the characteristics of the sound you want and get your tone “in the neighborhood.” In this case, an Epiphone can certainly help you with that. 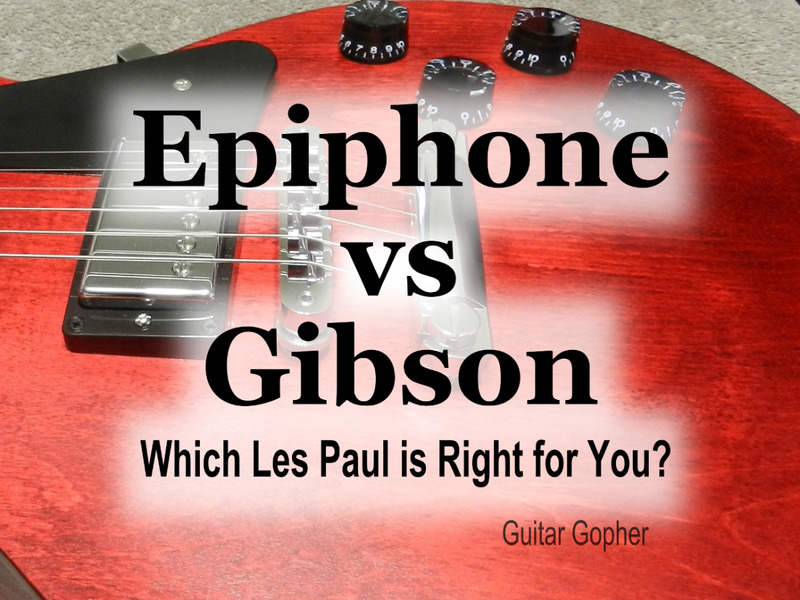 If you want a Les Paul Epiphanies are good choices. Pull the cover off pickups on current Gibsons and you'll see why they are no longer worth their price. A better choice for that Les Paul shape are the PRS customs like the SE Tremonti. For the price of an Epiphone you get old time Gibson looks and quality, not to mention superb playability.